Quid Piker is a mechanical forex trading system designed to trade British Pound. It is profitable consistently since it was created more than 10 years ago. It is not a complex strategy and can be followed quite easily. Quid Piker is a trading strategy that is not only profitable. 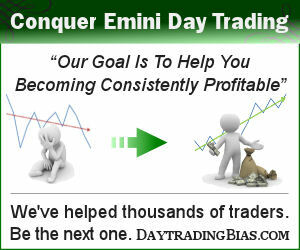 It is also educational for traders who have difficulty dealing with fast market conditions. 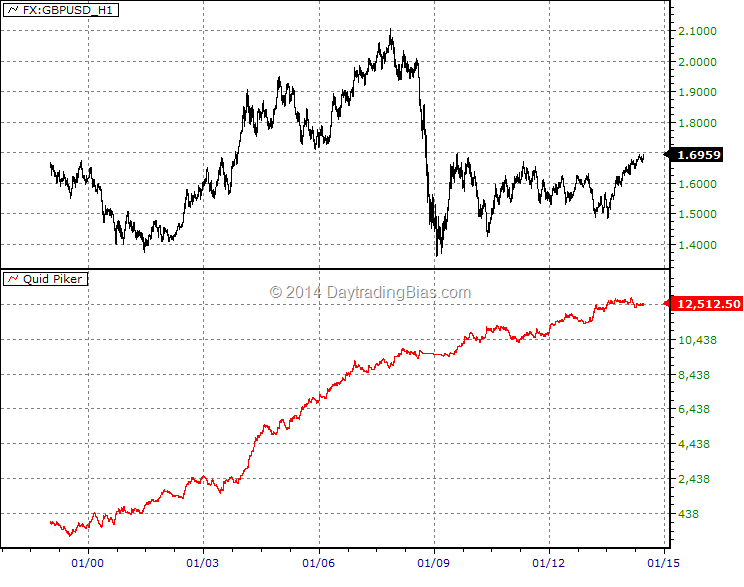 Those aspired to become mechanical traders can learn a lot from this trading model. Following is a chart of hourly British Pound with Quid Piker’s net gain in pips. 1 pip slippage per transaction (2 pips per trade) is taken into account. Look at the impressive performance. Many of the famous long term forex funds was forced to close their doors because of poor performance since late 2013 due to tighten range and lack of swings. That does not affect the Quid Piker much as it keeps churning out profits steadily. The system results shown is not even optimized. Many bells and whistles can be added to improve the model further. 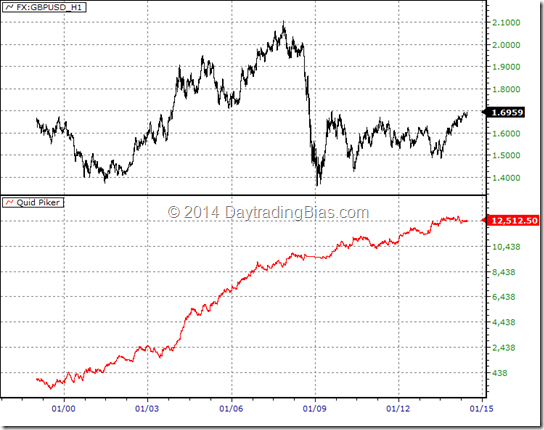 Have to wonder if it would work better on the JPY, considering the reason behind the numbers. Good question. There is no reason why this would not work on ninja. Most likely adjustment has to be made on the trading time range. I am going to publish another article with the same model on all the other majors. Interesting article for me – could you please explain more about the capital requirement calculation? where does the $100 come from? I don’t understand how that equals $200….. $25 x 2 = 50. 50 + 100 = 150. 150 x 1.5 = 225. Where did I go wrong? Forex brokerages although not often, but many of them did, raised margin by double at least twice in my long trading career. The minimal margin was raised to 2 times the normal size during some financial crisis in the past. Usually it is not a problem, because we should have enough money there anyway. BUT, what if your model is hitting its boundary situation where the money you have in the account is completely stretched? Taking the margin doubling into account is safety measure. Regarding my query about the total, I now see how you got $200, but my previous questions still apply. I have to make a change to the rules to reflect the strategy properly. Specifically target is now #6 with the correct description.